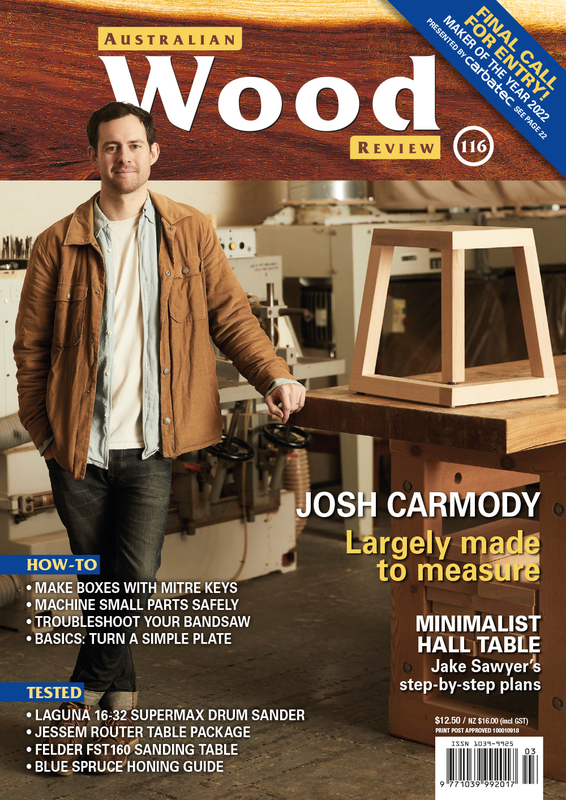 Australian Wood Review is Australia’s premier woodworking and woodcraft magazine. It is a high quality magazine for woodworkers that focuses on fine furniture making, woodturning, carving, timbers, tools and machinery. 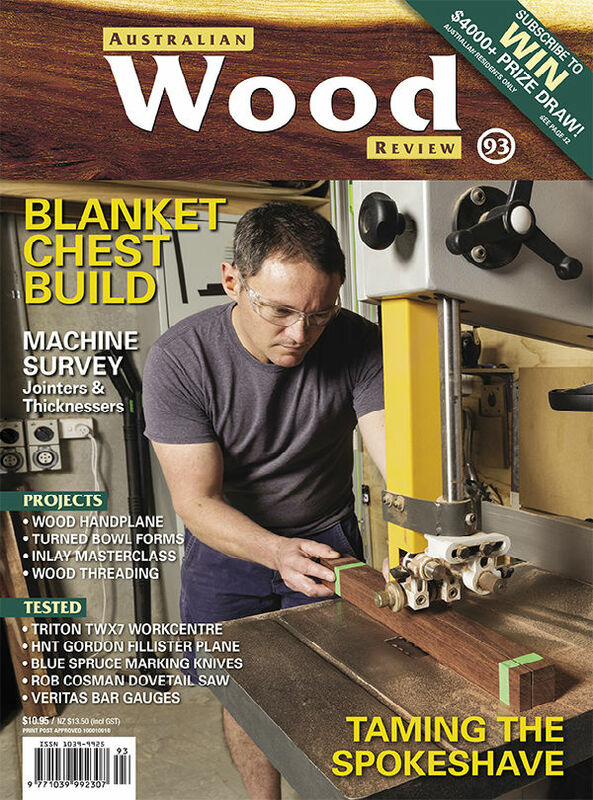 Subscribe to Australian Wood Review magazine online, phone 1800 807 760 or email subscriptions@yaffa.com.au.